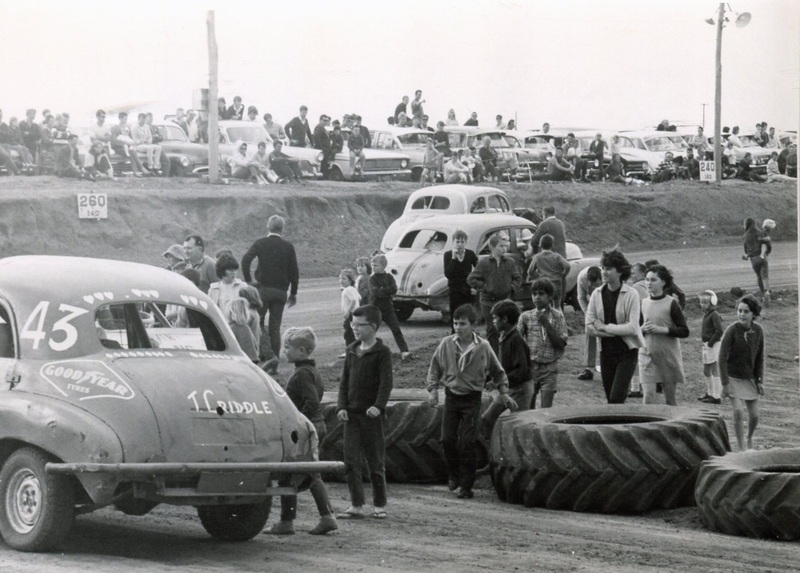 A meeting of locals was conducted in July of 1964 with a decision being made on the locality of the race track just outside the town boundaries, many of the locals saw this as a way to give their street racing kids a controlled enviroment to race each other. The man who started it all was the late Mr Jack Whitehouse, he became the clubs first President and in later years the clubs first Life Member. Mr EG Nairn of Dongara the use of a 10 acre gravel pit on his property Howatharra but for some reason the offer was not accepted. The original track was built on a property owned by Penny Pirrottima, The Geraldton office of Mobil Oil Australia Ltd , met the costs of forming and grading the track, while volenteers like Bernard Clinch and Vic Baskerville loaned equipment, this track would be known as Moonyoonooka. 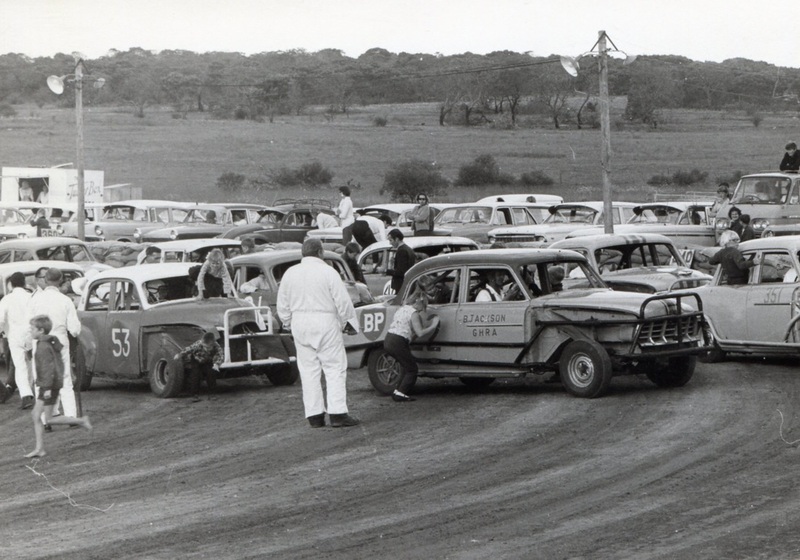 On the 28th of Febuary 1965 the first time trials were held on the dirt track, the ruling of the day was all drivers must have at least 15 laps experience before being able to race, as it turned out the club had seven trial runs. During these first years of racing many brands of cars were used from FJ Holdens, Ford Pilots, Ford Mercurey's, Chevrolet's, Dodge's, Jaguar's and Plymouth. 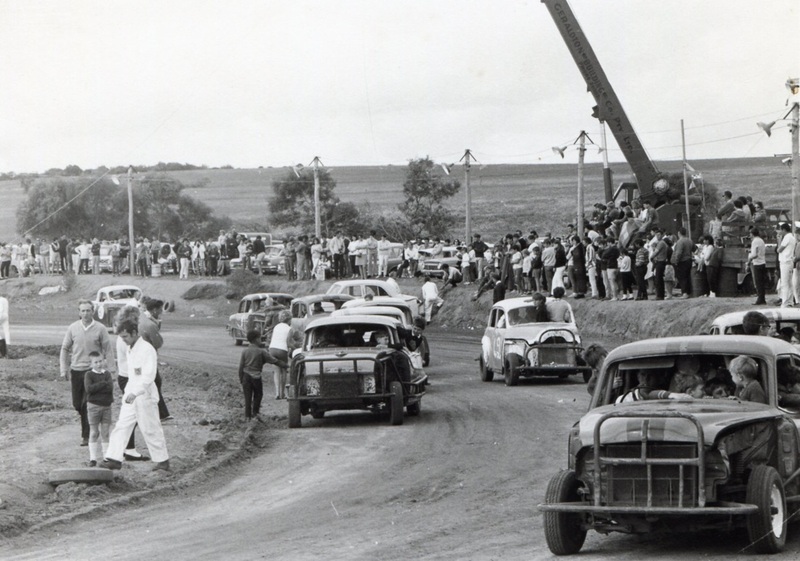 Many of the cars racing at the time did so without fenders and bonnets, the cooling systems in the cars were fitted with a 5 gallon drum as a radiator. 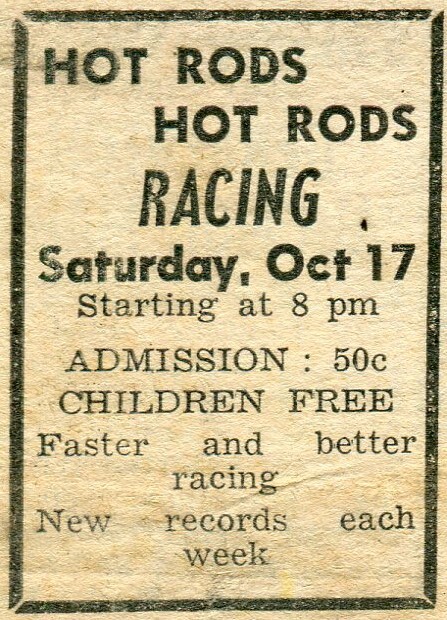 Geraldton held its first full scale meeting on the 11th of April 1965, racing would continue at the track up until 1966 when the owner would lease out the property for agriculture and the club would have to move, The last meeting was on the 15th of May in 1966, it was a championship event to be apart of the Sunshine Festival. 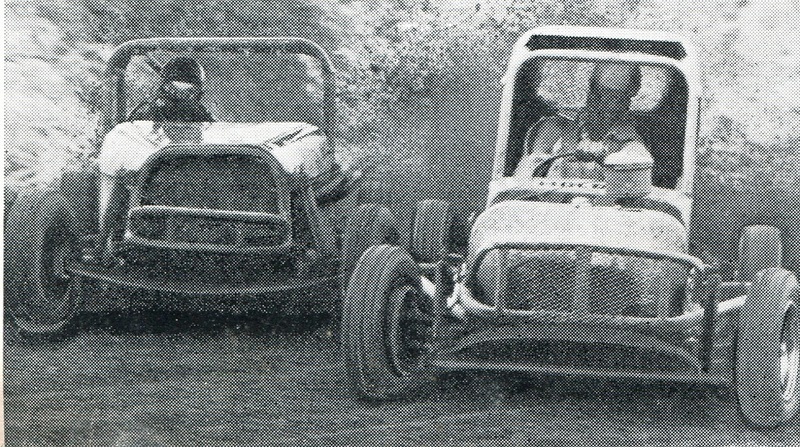 The new Geraldton site was purchased in 1966 from Mr Joe Marsden, the site was 20 acres, work commenced on the track with the aid of dynamite as the area was full of granite, part of the granite face was used as a natural saftey fence with part of the gravel pit used as a spectator veiwing platform. On the 6th of November 1966 the New track was officialy opened, also on the day the Geraldton Motor Cycle Club would join in and hold some events. 1969 - Brian Thomas back when it all began. Photo: Cherie Thomas. 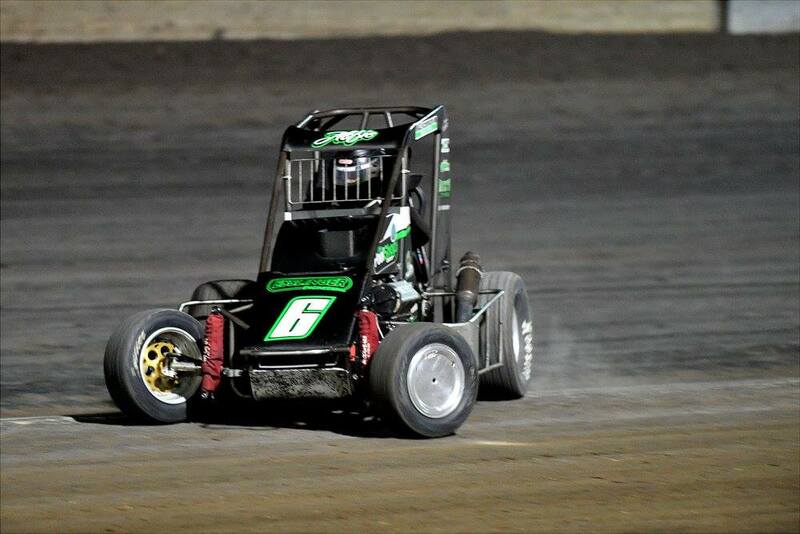 Geraldton Speedway held there annual Midwest Championships over the Easter Long weekend in 2016. The Perth based Speedcar club mark this on there calander as a feature event for the season, numbers were down this year for various reasons, Current Club champion Kevin Myles in the V4 monster was a non starter after suffering tow vehicle problems on the way to the event. The surprise return of a previous hard charger to the field was Greg Day in a very nice Gherti powered machine, Greg paced himself well through the meeting often coming from the rear to finish on the podium. Gary Mann from the West Coast club is currently building a new Honda powered car, For now he is still running the Sigma powered machine that he has run in previous years. Greg Day took advantage of an offer to race this very smart looking number 10 machine to end up with 3rd place on the podium. 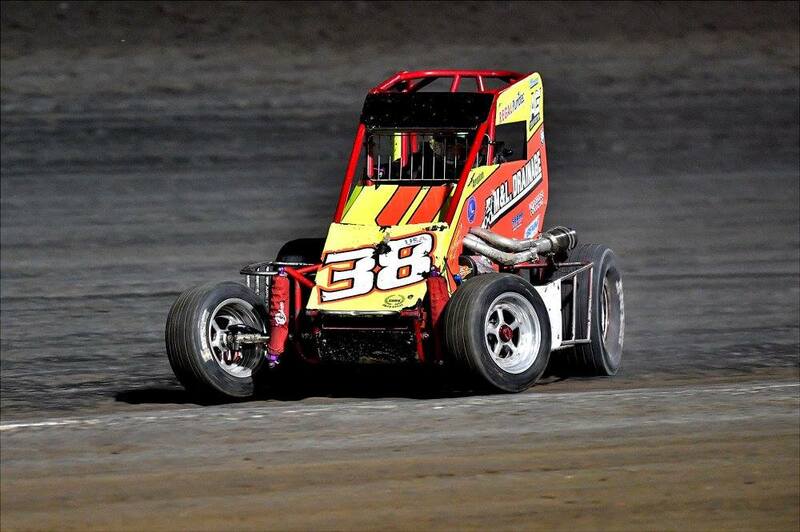 Saturday the 28th of January Geraldton Speedway hosted the running of the King of the Hill, The programme feature Limited Sprintcars as well as a support programme of Speedcars Super 6 Sedans, Super Mods and Formula 125's. The weather was not kind to the Geraldton Club, rain delayed the start of the meeting, but the meeting did go ahead. Some of the fields were depleted because of the weather, taking in the amount of traveling that was envolved for some drivers. Geraldton Speedway hosted the 2016 2017 West Australian Limited Sprintcar Championship on the 1st of April 2017. 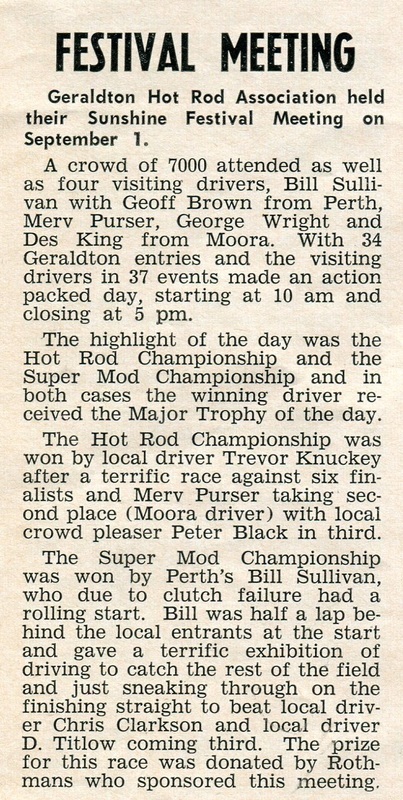 Featured on the night was round 2 of the West Australian Modified Sedan Series. 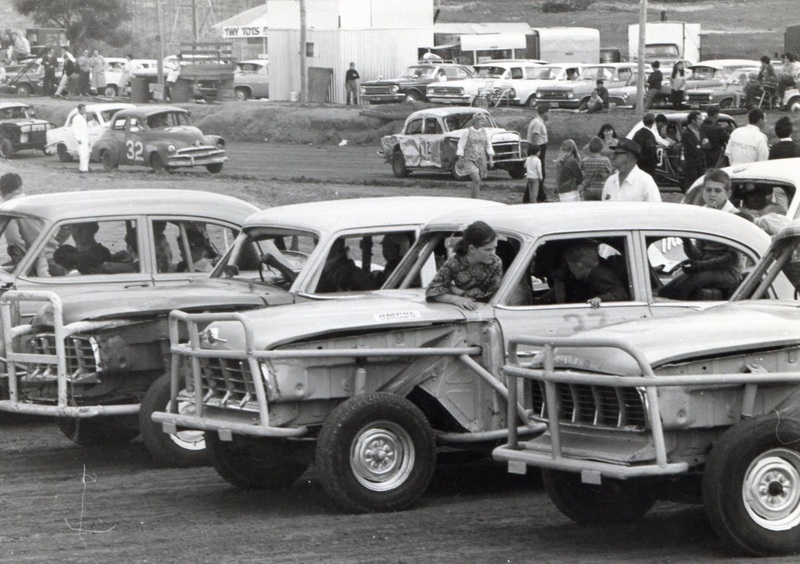 The support program came in the form of Production Sedans and Juniors. 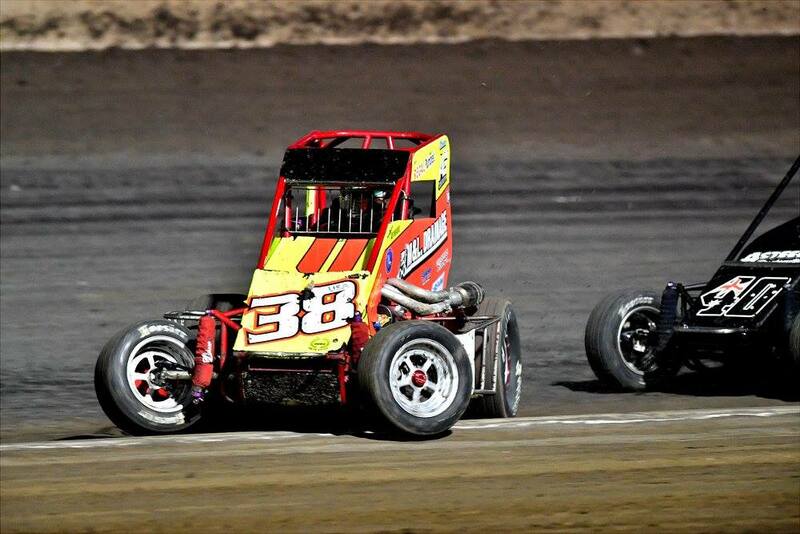 The Geraldton Speedway Club hosted there 19th annual Production Sizzle at the Geraldton Speedway on the 29th of December 2018, The support program was made up of Junior Sedans and Limited Sprintcars. Kane McDiarmid drove with perfection. 2nd Barry Rose - 1st Kane McDiarmid - 3rd Frank Does. 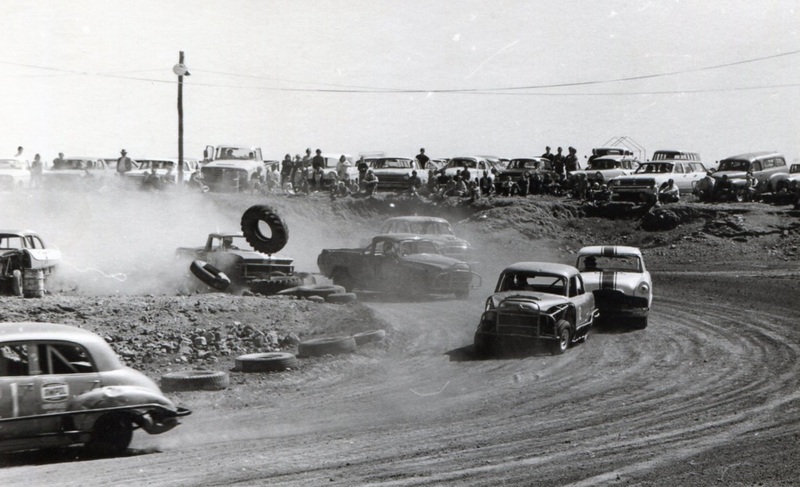 The Geraldton Speedway Club celebrated a special race meeting on the 12th of January 2019 when they held there Heritage Meeting, Along with the displays of Vintage equipment on the night, the meeting hosted, Junior Sedans, Limited Sprintcars. Production Sedans Super Mods and the Formula 125's.